This tutorial is based on Windows Vista ( 32 bit NOT 64 bit, for Windows Vista 64 bit OS, go to this article) and make sure you have downloaded the required driver software for the Spice Mobiles. Official site to download drivers for Spice Mobiles. This article equally applies on how to install cdma driver in my Window 7, provided you’re taking about Spice Mobile handsets. Before you connect your mobile phone to your computer via USB cable, install the software, and here is how. 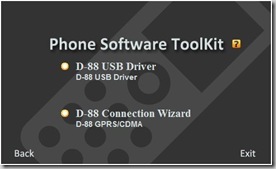 First, select the USB Driver for the Mobile Phone. This is important, clicking on the driver link will take you to a wizard which will successfully install driver for the model you opted (here it’s d88). Now, it’s time to install GPRS CDMA Connection software. 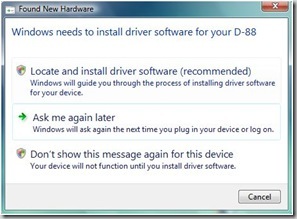 Click the second link to proceed when you are done with installing drivers. Again, wizard will do things for you! Time to plug in the mobile device to the USB port. 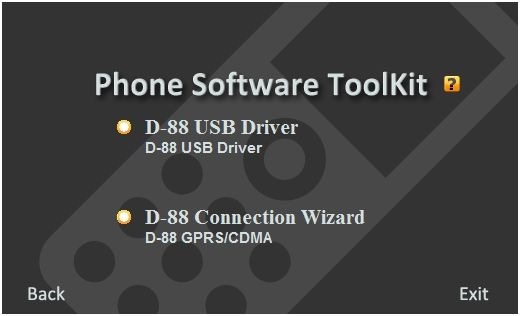 If the Windows attempts to install driver software for the mobile D88 (like the wizard as shown), simple LOCATE AND INSTALL DRIVER SOFTWARE (RECOMMENDED) and do go on. 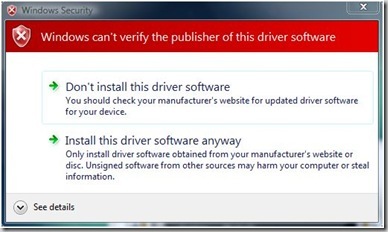 You might be warned by Windows Security saying that Windows can’t verify the publisher of this driver software, and again INSTALL THIS DRIVER SOFTWARE ANYWAY to proceed. Now, Windows will install the driver in its own way, don’t care about our initial driver installation, it’s okay. Windows will only revise the edition to make it recognizable. Get notice of what’s happening at the right buttom corner where you will see that driver software installation doing its work- Mobile Phone USB MODEM Driver ( in fig COM7) installed. Time to click the desktop icon GPRS&CDMA. Depending upon which type of internet connection you are going to have, select MOBILE USE GSM MODEM or MOBILE USE CDMA MODEM. You might like to refresh for the port address (COM port, to ensure you can check via device manager). Click CREATE CDMA CONNECTION and voila!!! You might need to enter your user name (usually your mobile number) and password (ask your operator). The dialing number is almost always #777 for CDMA and *99# for GPRS GSM internet connectivity. Goto C:\Program Files\LT\GPRSCDMA\GsmCdma.ini and open this file to change the dialing information. Find appropriate fields in the file as given below and change them (required fields are darken/bold/underlined to change) for user & password. Note: If this method don’t work, then you might be using 64-bit Windows for which no drivers are officially assigned by Spice Mobiles, so here is the alternative way. 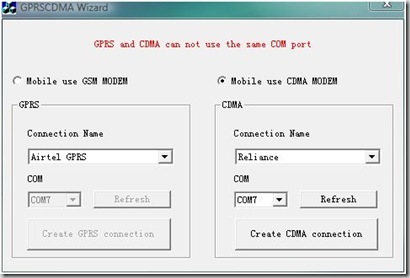 How to set up Spice D88 as a CDMA or GPRS Modem in Windows Vista 64x? You can use this process to connect internet in your laptop using CDMA or mobile device and even with UTL internet connection service.